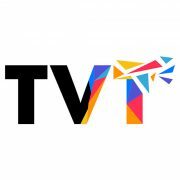 TVT, the leading independent media services company, today announced that it has appointed Peter Elvidge as its first CTO. In the newly created role, Peter will take responsibility for overseeing technology strategy and development. Peter joins TVT from Globecast, where in the course of his 10-year career he held a variety roles including Head of Global Media Management. During his decade with the company, Peter helped to steer technology and operational teams in the creation and launch of Globecast’s global product offering of content logistics, playout, over-the-top (OTT) services and VOD logistics products. One of the world’s fastest growing global digital media services companies, TVT provides a complete service from ingest through media management to online distribution. With a worldwide reach, TVT services the needs of many globally recognised media organisations including Netflix, BBC World News, A+E, UKTV and Hulu Japan from offices in London, Singapore, Tokyo and Sydney. Peter will start his new role in January 2017.